As a client or Royal LePage broker, you have the right to access the Personal Information we keep in your file and you have the right to verify or amend the information if it is shown to be inaccurate. If you would like to view the Personal Information held in your file, please make a written request to the Privacy Officer at the address listed below, under “Questions, Concerns and Complaints”. We will respond to your request as efficiently as possible. Royal LePage may collect anonymous information about you. This means that the information collected cannot be traced back to a specific person. 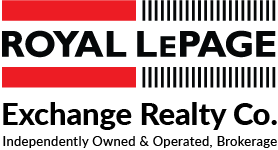 For example, our Web servers may record certain information automatically when you visit Royal LePage Web sites. This information is collected using “cookies” and might include the pages you visited, your IP (Internet Protocol) address and other site usage statistics. This anonymous information is used for research and analytical purposes only (like evaluating how many visitors our Web sites receive or which pages they visit most often). It does not reveal any Personal Information about you, the user. This aggregate data may be disclosed to third parties, but never with personally identifying information. You may configure your browser to notify you when you receive a cookie, and you may refuse to accept them entirely. However, if you refuse to accept cookies, you may limit the functionality that we can provide to you when you visit our site. 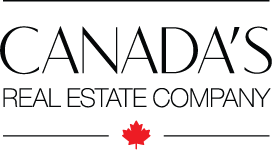 For example, the Royal LePage exclusive web-based service “Real Estate Tracker” requires cookies to recognize clients with valid access to the database. If your browser does not accept cookies, the site will not grant you access via the login and password.